Tinnitus is a noise in the absence of an external stimulus, commonly referred to as “ringing in the ears“. It is a condition that affects 10% of the population, and approximately 2% of the population is debilitated by it, meaning they cannot work or socialize because of the tinnitus. 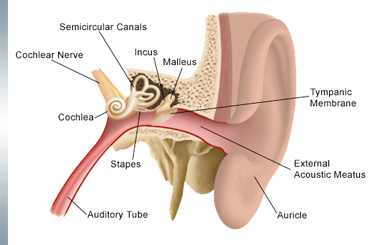 Tinnitus is commonly caused by damage to the cells responsible for the detection of sound in the inner ear. The tiny fibers called “Hair Cells” decrease their input to the brain. Neurons responsible for detecting sound near the damaged hair cells compensate for the lack of input by increasing the sensitivity of frequencies surrounding the trauma frequency, resulting in spontaneous firing of these neurons which is perceived as tinnitus. Other causes of tinnitus include age-related hearing loss, medication side effects, Meniere’s disease and head trauma. A complete audiological exam can help determine the cause of the tinnitus. There has been no adequate treatment for tinnitus in the past, but remarkable advances in brain stimulation technology and treatment methods are changing that. Please call for further details and an explanation of what results you can experience with TMS treatment.